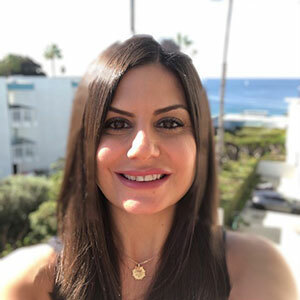 Marina Simonyan understands people, and she is passionate about making positive, lasting changes in the lives of families who have loved ones diagnosed with developmental disabilities. She says, “We help people learn to function as independently as possible in society, and go on to live meaningful lives.” Marina aspires to travel the world, helping families who are affected with autism and related disabilities. Marina received her master’s degree in clinical psychology at Antioch University. She began her journey 11 years ago, and has been a behavioral therapist, direct staff, program coordinator, and manager of in-home parent training. She earned her BCBA, under the supervision of Dr. Sadeghi, in 2011. Marina grew up in a household of women that taught her how to be strong, dependable, and independent. She enjoys going to the beach (though she can’t swim! ), working out, traveling, and reading crime mysteries.